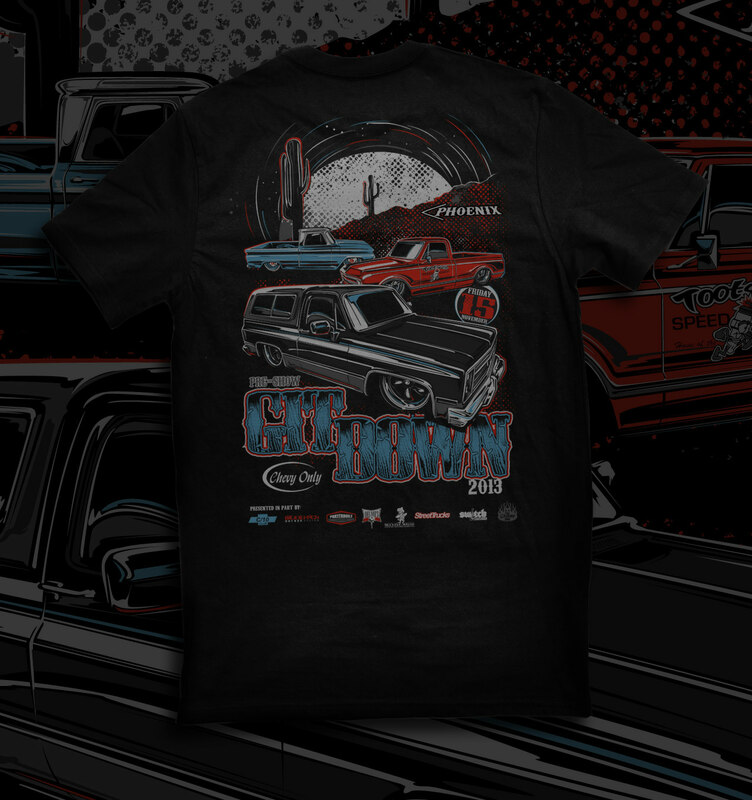 Event t-shirt and poster artwork for a local classic and custom truck gathering. 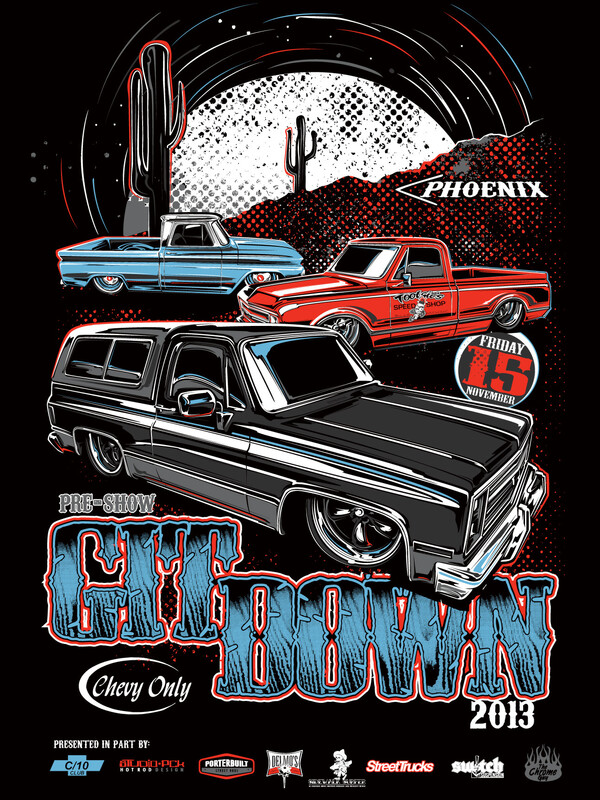 Annual pre-show truck gathering.party tees and posters for a local friend. With each event, I try to add a little local flavor to the artwork, to give the out-of-town visitors something to take back which reminds them of their stay, and this go-round, I opted for a theme that recalls the sand paintings sold around AZ, as well as a landmark.